Are you shocked by those statistics? 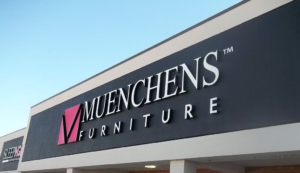 Did you realize that quality signage can bring you that much more business? We’re all about helping you expand your business and would be honored to have the opportunity to work with you on creating new signage for your brand. Let’s learn a few more stats when it comes to the benefits so you won’t second guess yourself before giving us a call! Do you know how customers know about a local business? 35% of customers know about a business because they saw it while passing by! Now that you know how important quality signage is, give ABC Signs a call or visit our website for a FREE estimate.